This is a guest post by Andrew Jones. If you'd like to guest post on this blog, click here. 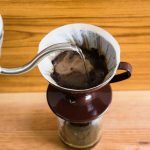 Coffee is an integral part of many mornings and some drinkers never really experience the versatility or true value of this exotic drink beyond the normal cup. So I am here to share unique ways to make the most of this favored beverage. A good cup of coffee always starts with the beans. If you prefer to rely on finding roasted beans from a supplier, then make sure they are of highest quality. Often, this proves to be difficult and the ultimate way could be to roast them yourself. Remember, fresh is always the best. One solid method of storing beans is to ration them. Separate your beans into three airtight containers, add enough beans for a one week supply. Store one on the counter at room temperature, one inside the refrigerator and the final container within the freezer. Rotate when necessary. 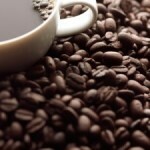 Not all beans are created equal in terms of caffeine content. Additionally, individuals react differently to caffeine consumption. Sample and research a few types of beans and determine what tastes best for you while providing the best comfort. Research indicates a cup of coffee improves alertness and aids toward better physical performance. Caffeine is also a diuretic so be smart with this knowledge and always make sure you are properly hydrated. Plan the night before and enjoy your cold morning brew. 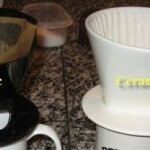 Use the slow approach, add grinds to a cup of water, milk and keep in the fridge. In the morning you’ll be able to wake up to a drink to battle the hot summer day. Quite candidly, the oils from the coffee beans intensify flavour. 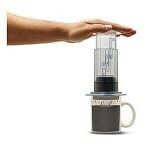 Invest in a French press and extract the true essence coffee has to offer. Are you thinking about how to become more environmentally conscious? Used grinds have a variety of uses such as cleaning and control of garden pests. If you are an owner of a coffee shop then consider an artistic approach with your offerings. Create colourful diagrams highlighting special ingredients and expectations. This style helps customers become more confident with selections. High heat releases more flavour. 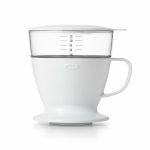 Drip coffee drinkers can actually find better taste by adding hot water to the machine rather than cold. Presentation is the key to any great dining experience. An attractive mug, quality brew and the perfect blend of chocolate and spices are essential. You have made a really delicious coffee but you just need to make it look perfect. If you are having a cappuccino or a latte, why not finish it off with some art on top or more commonly known as “Latte-art”. 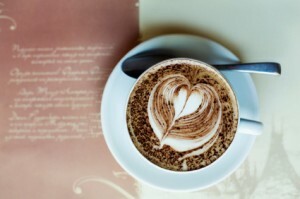 This can be done by designing a pattern on card, cutting it out and then sprinkling chocolate power over the stencil so that the design appears on the foam of the coffee. Alternatively you can create a design by pouring the milk into your drink just right, if you are interested in doing this make sure you watch some tutorials on YouTube. This guest article was written by Andrew Jones who is the Head of Marketing for a UK based commercial vending and coffee machine rental company Express Vending. Express Vending’s work all over London offering a fully serviced package for their coffee vending machines.